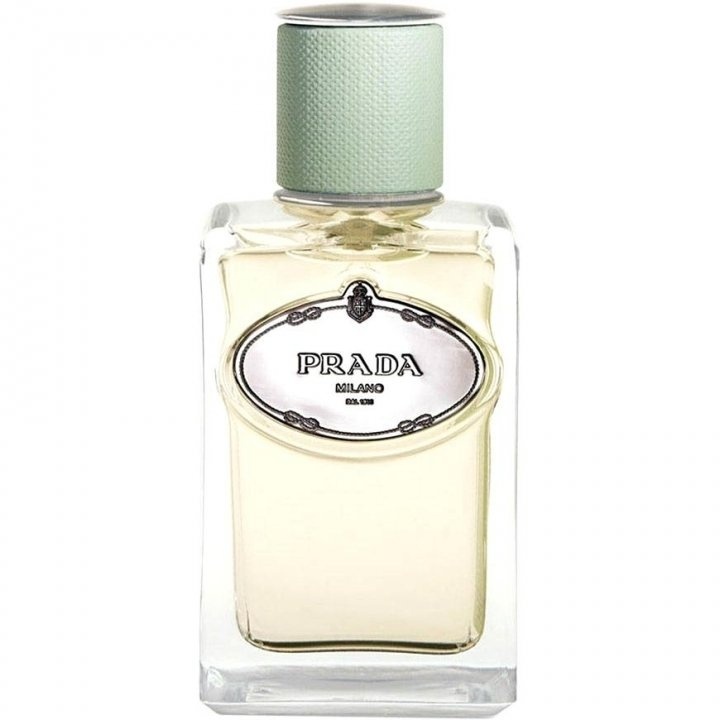 Infusion d'Iris (Eau de Parfum) (2007) is a popular perfume by Prada for women and was released in 2007. The scent is powdery-floral. It was last marketed by Puig. When I found out that there was another version in 2015, I tested it and was very excited... I had to have that! After a long time I wanted to give you another chance and find out for myself whether I felt the same then as I do today... Was the prelude really that biting? And the incense is actually that strong? So I did the test and sprayed you left on the arm and the version 2015 right on the arm. You can clearly follow the scent of the 2007 version, which is not the case with the 2015 version. The first thing I can really notice - as I did at the first test - is still something very biting, pungent and green... Pistachio leaf? The silage is also much stronger than in the 2015 version, which I really like... The durability is also a little better... Similar to Iris Absolue..
Prada´s Infusion d`Iris Eau de Parfum has been in my collection for several years. And that's still the version from 2007. Also here I bought as so often a bottle, which is almost empty, but I have already provided for replenishment. Infusion d Ìris starts with galbanum, which is very soft and uncreasy here, followed by the first powder breeze of mandarin and orange blossom. Then there are more powder clouds with a lot of soft iris. This iris remains dominant in the rest of the fragrance and I like that very much. Despite all the powderiness, the fragrance does not appear suffocating or dusty. I can't hear cedar and vetiver here. Frankincense is discreetly restrained to match the fragrance and only serves as a very delicate background. I also have the EdT, but for me it is an independent fragrance, which looks a bit "more humid" and does not have the powderiness like the EdP. Rather it resembles Chanel N°19 Poudre very much. And still has a better durability than the Chanel. Also the other fragrances of the infusion series are not to be despised and some of them have already made it into my collection. This one can certainly remain a permanent part of my collection. A classy gem I neglected for too long, I used to own Infusion d’Homme some years ago and got rid of it since it smelled too light and a bit dull for me - and I thought this was just its feminine counterpart (therefore even lighter and – not to sound sexist – probably duller). I was so wrong! This is so better than that – and ironically, way more suitable for men. Easily however this is one of the nicest iris-based scents on the market for me, especially of the fresher/gentler sub-family. And even more easily, the best offering by Prada so far, but it didn’t take much for that. Infusion d’iris is a tremendously radiant, bright and bracing blend centered on a minimalistic structure of iris petals (no buttery/waxy/lipstick orris root), bergamot, something slightly and elegantly candied-fruity, soft incense and a silky, really discreet base accord of musk and bright vetiver. The notes seem common, their smell isn’t at all: the quality is clearly high and unique, particularly more than usual, and you can definitely feel it. All smells clean and light, but decidedly more intense and substantial than one may expect. The evolution is also really catchy and irresistibly pleasant, moving from a zesty pastel opening of fresh bergamot and bright iris petals through a soapy, stronger central phase centered on iris (blossoming in its earthier-leafier side) and musk, ending on a beautiful vetiver drydown still infused with a powdery touch of iris. Like a really consistent three-movement piece of intimate piano music, with iris being the recurrent theme. And aside from its brilliant evolution, it just smells great - period. And persistent, too: very few perfumes manage to smell this crisp, weightless and luminous keeping some intensity and persistence, and also ending up in being exceedingly perfect for men and women. Probably only the best Ellena’s for Hermès managed to do that – and Infusion d’Iris could easily stand among them in fact. Together with Rush for Men, probably one of the best works by Roche-Andrier, showing that exact same feel of discreet, bright, extremely clean sense of quality, refinement and sophistication (now let’s all wait until Prada discontinues it to realize that!). 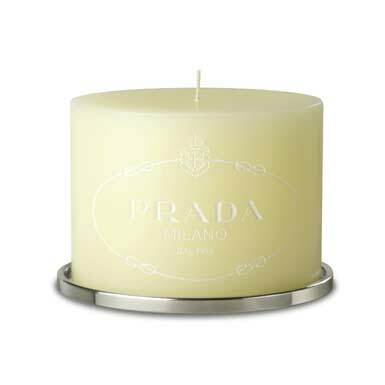 This scent starts citric and fresh, but without the lemon and bergamot. I smell a freshly peeled orange. The galbanum makes it tart and spicy. "Infusion d'Iris" Eau de Parfum radiates an incredible warmth as if it were the "Nice Weather God" himself. The image of a holiday in Tuscany comes to mind. As expected, the Iris now takes the floor. But it is only a guest appearance. The scent, in my opinion, is built around the spicy orange. Really, I would have expected a bit more of the powder of Iris! 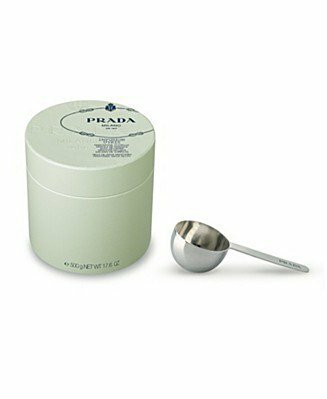 Unfortunately my skin does not warm up to this Prada treasure and I hurry to look for the basenotes. Cedar and a hint of incense gently round out the Eau de Parfum. Sadly, after only 2 hours this "magic" subsides on my skin ... but then, I have discovered an alternative for myself, the Eau de Toilette. I had tested INFUSION D'IRIS several times - always inside in air-conditioned environment - and every time it gave off an aura of an impeccably dressed, elegant, unapproachable woman. There was a cold, slightly powdery vibe. When I came upon a good deal for a big bottle, I could not resist though I remained a bit skeptical. However now in summer it bloomed to a wonderful warm powdery floral-fresh scent. It is perfect for office and libraries, in that point I agree with Lola82, however I think ID'I should be worn in summer. 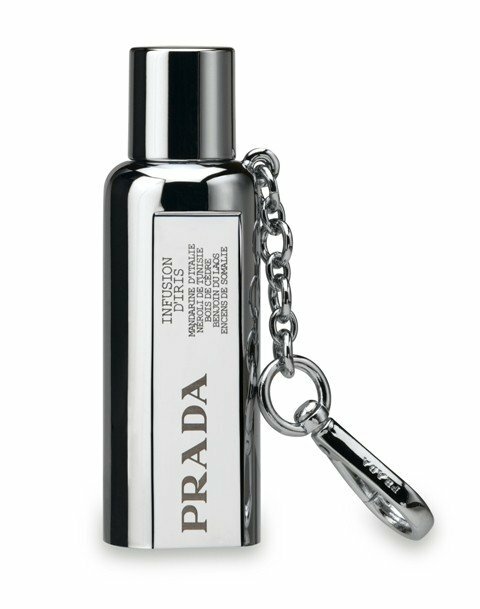 Prada Infusion d'Iris is the definition of elegance and class. For those of you that want lots of flowers, sweetness and strength, this fragrance probably isn't for you. Infusion d'Iris is a clean, inoffensive floral. Slightly musky and woodsy. In truth, I hated this fragrance at first. It opened with a harshness that was both soapy and herbaceous. All I wanted was a delicate floral note, yet what I first experienced was odd and unpleasant to my nose. Thankfully the heart was much nicer with the iris and orange blossom notes peeking through and eventually taking over. 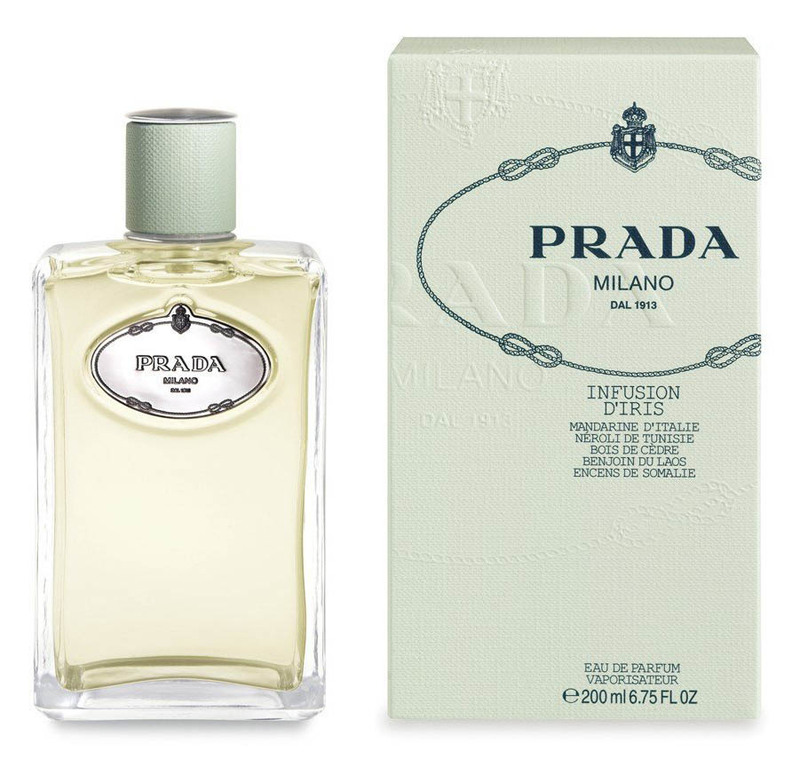 Well Infusion d'Iris is certainly a Prada fragrance in its sophistication and simplicity. I do appreciate those aspects in Infusion d'Iris, I think that more simplistic, classic scents are needed on the market these days. There are too many overly sweetened and overly fruity scents that people seem to prefer wearing. This fragrance is not something I'd personally buy for myself and to be completely honest, I do prefer Acqua di Parma's Iris Nobile for my iris fix. However, this fragrance is beautiful in a soapy, clean sense. It is perfect for those days at the office or when you want to feel fresh and feminine all day long. I Love the blending of Irises with incenses it gives it an Refined character and with a touch woods gives it a bit of an impression. I didn't expect to like this. I'm not generally fond of iris, which tends to make perfumes too powdery for my taste, and because Infusion de Fleur d'Oranger dryed down to pretty much powder and not much else on me. This is powdery for sure, but it is much more than that. Now that I look at the notes, I can see why I like it. It has some of my absolute favorites: orange blossom, neroli and cedar. And in this case, unlike Fleur d'Oranger, these notes are detectable throughout. The hit! I could only smell the testing paper strip (my arms were overdosed on other scents) but this is so much my taste. Smoky flowers with a little wood. Marvelous.